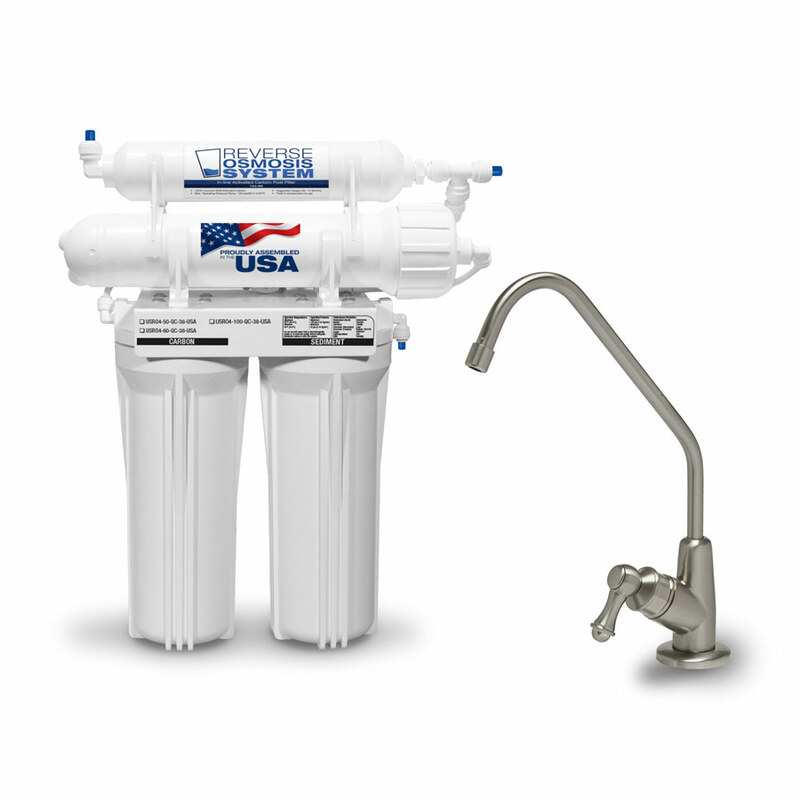 Reverse osmosis drinking water systems include membrane separation, activated carbon absorption and conventional filtration to reduce the entire spectrum of contaminants that can be found in water. 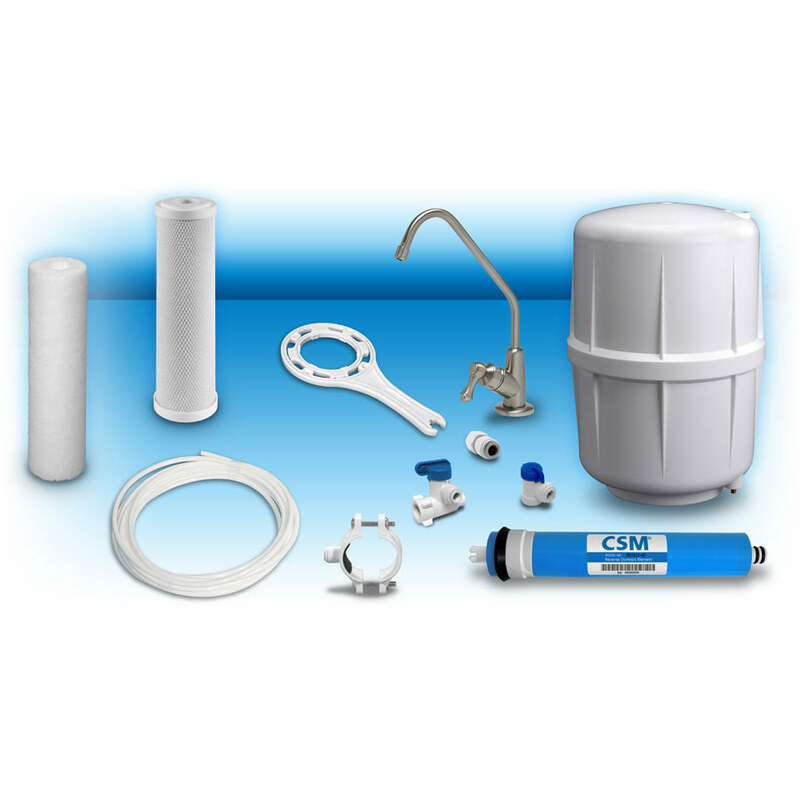 RO systems substantially remove heavy metals, such as barium, cadmium, chromium, lead and mercury; radium 226 / 228 selenium, cysts, chlorine, salts, turbidity and more! 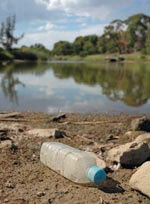 Use our Bottled Water Cost Calculator to find out how much of an impact you have on the environment. 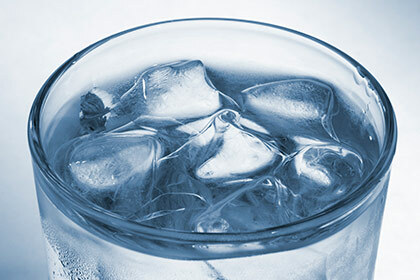 Learn why filtration is better for the environment than bottled water. 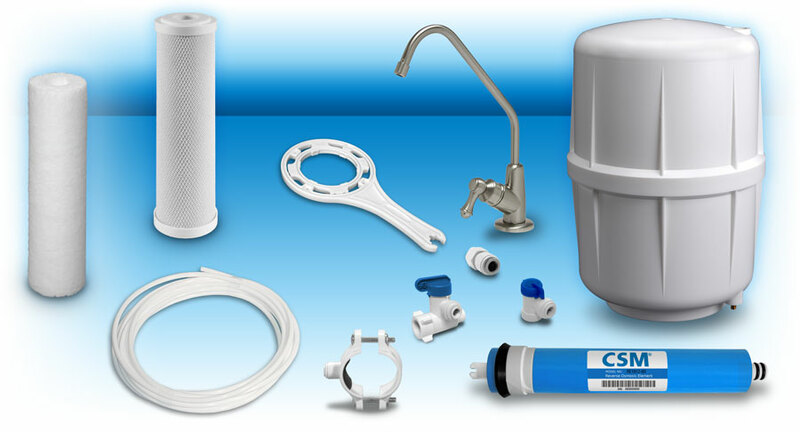 Reverse Osmosis (RO) drinking water systems include mechanical filtration to remove particles, carbon absorption and adsorption to remove chlorine, taste, odor and chemical contaminants, as well as membrane separation down to .0001 microns. RO membranes remove dissolved solids at the ionic level. 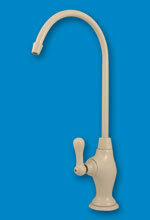 No other purification system can provide better removal. Reverse Osmosis Systems provide the best quality drinking water for your family. 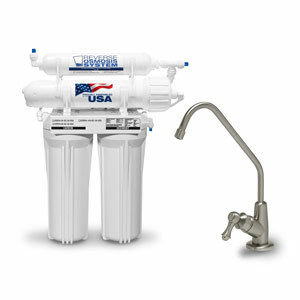 The USRO4-100-QC-38-USA, 4 Stage Reverse Osmosis System includes the following: 60 Gallons Per Day (GPD) Thin Film Composite Membrane, NSF Certified Quick-Connect Fittings, NSF Certified Metal Bladder Tank, NSF Certified 10 Micron Carbon Block, Inline GAC Post filter, Standard Faucet, Tubing & Accessories. 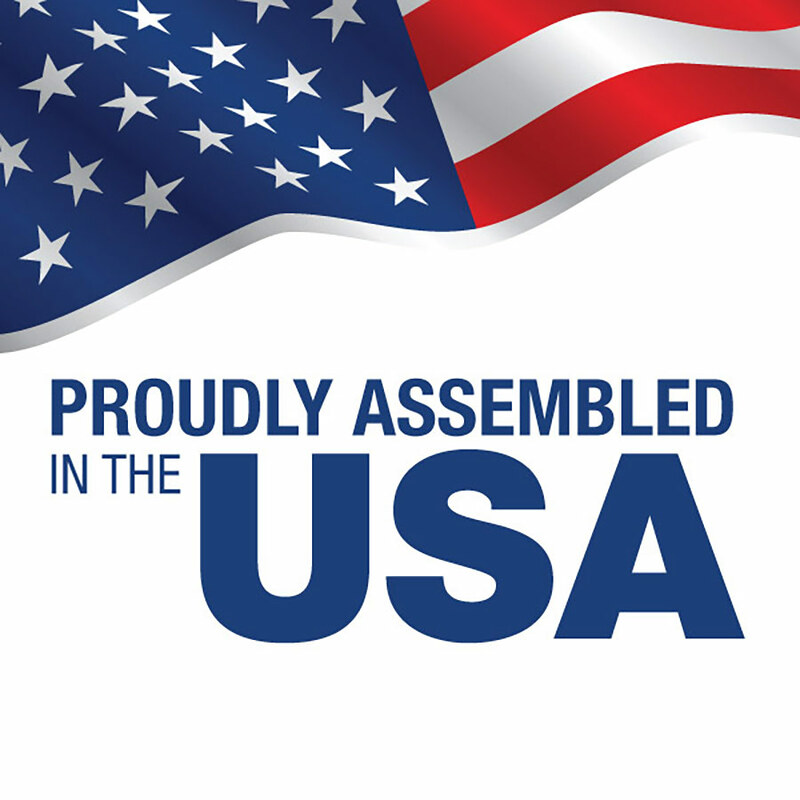 Your complete system includes installation parts, fittings and everything listed here. 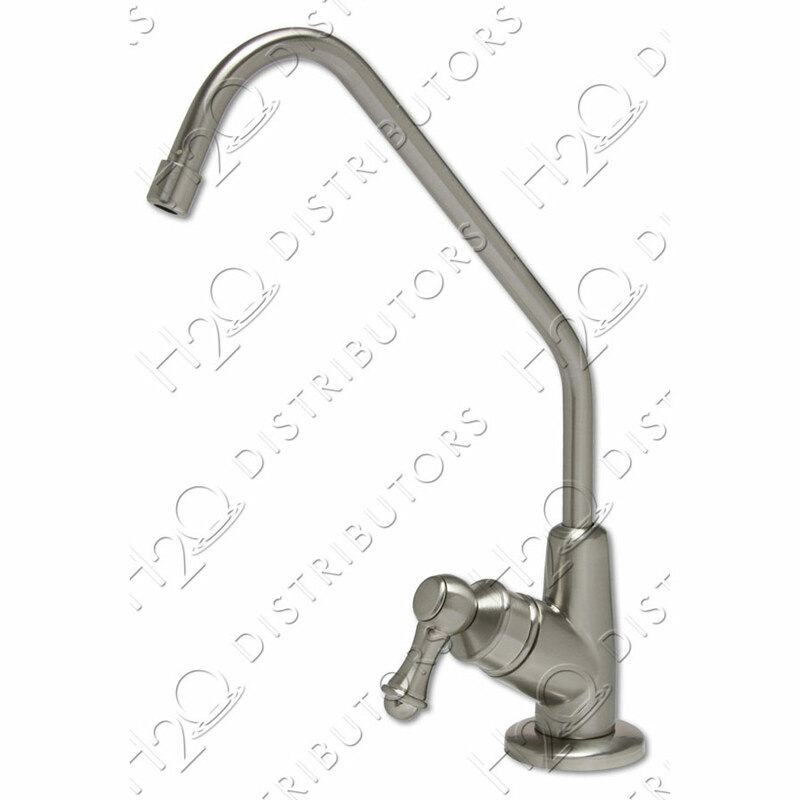 USRO4-100-QC-38-USA features 3/8" Delivery Tubing and Fittings after Bladder Tank and through to faucet for increased flow of purified water. (1) Pentair Membrane - 100 Gallons Per Day NSF Certified Thin Film Composite Membrane produces pure water fast. Most RO's in stores have only 25 GPD membranes or less! Ours will refill your tank more than four times faster. 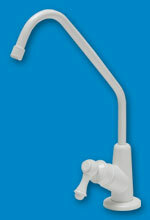 (1) 5 Micron Spun Sediment Prefilter removes dirt, rust & sediment from your water in the first stage. (1) 10 Micron Carbon Block Prefilters, NSF Certified removes chlorine, bad taste & odor. (1) Inline Activated Carbon Post Filter made with premium quality coconut shell activated carbon, it filters the water after the bladder, just before you drink it. 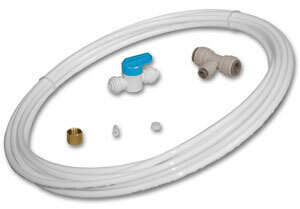 NSF Certified Quick-Connect Fittings & Polyethylene Tubing assure easy & secure connections without tools! 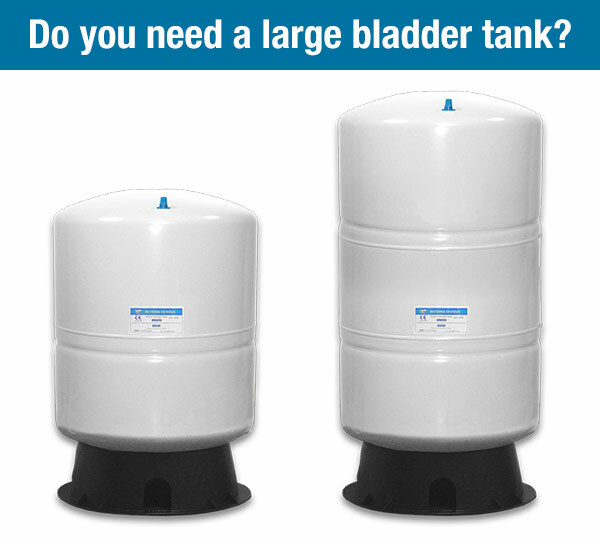 3.8 Gallon Bladder has all the water you'll need, available when you need it. 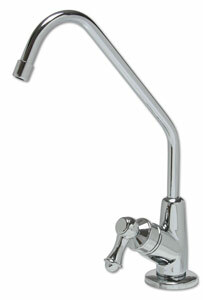 The tank ball valve is included. 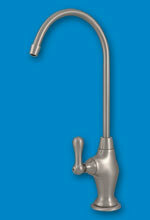 Drinking Water Faucet (Compliant with Lead Reduction Act) dispenses purified water for all your needs. 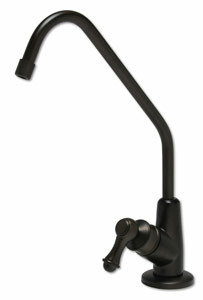 All Installation Parts & Easy-off Housing Wrench make installation and maintenance a breeze. 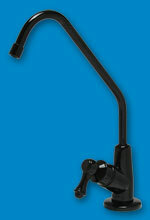 Automatic Shut-Off Valve eliminates waste by closing the feed line when the tank is full. 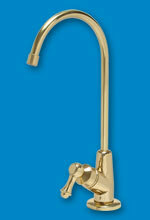 View our Reverse Osmosis installation animation or installation and service manual included with this system.